Star Wars Celebration V, the official Star Wars convention scheduled for this weekend in Orlando, has a slew of Star Wars authors and some illustrators attending. A lot of the attention has been focused on the celebrities from the movies that will be attending (kinda hard to ignore the fact that Mark Hamill, Carrie Fisher, and George Lucas will be there I know). However, fans of the vast body of Star Wars literary work also have a lot to look forward to at Star Wars Celebration V.
location information. Can’t make it to one of the signings? Don’t worry. Many of them are repeated throughout the weekend! Note: He will sign copies of his book The Clone Wars Character Encyclopedia. Note: Ryder Windham will sign Star Wars Blueprints: Rebel Edition and Star Wars Year by Year. Note: They will sign Star Wars Essential Guides and Encyclopedias. Note: They will sign copies of Star Wars Blueprints: Rebel Edition. The first 50 people to stop by will receive a limited edition blueprint created exclusively for Star Wars Celebration V.
Note: Tom will be signing copies of The Strange Case of Origami Yoda. Note: He will be signing copies of Secret Missions: #1 Breakout Squad and Secret Missions: #2 Curse of the Black Hole Pirates. Note: They will be signing Fate Of the Jedi Series. Note: They will sign copies of the recently released Star Wars Year by Year. Note: The first 150 kids to stop by get a free book! 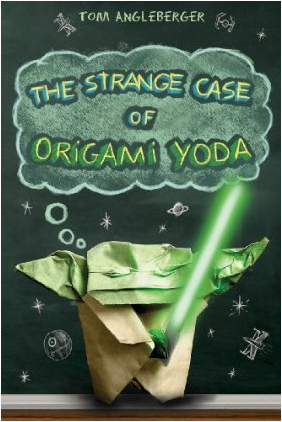 Note: Tom will be singing copies of The Strange Case of Origami Yoda. For more information, visit www.starwarscelebration.com. Yeah…they scheduled the Fate of the Jedi author signings during Mark Hamill’s and George Lucas’s panels. I’m a bit annoyed, lol. Not very nice to the authors either! But I guess something had to go up against it?